A simple, affordable yet elegant indoor/outdoor home security camera that provides you with 24/7 protection and surveillance in and around your home. 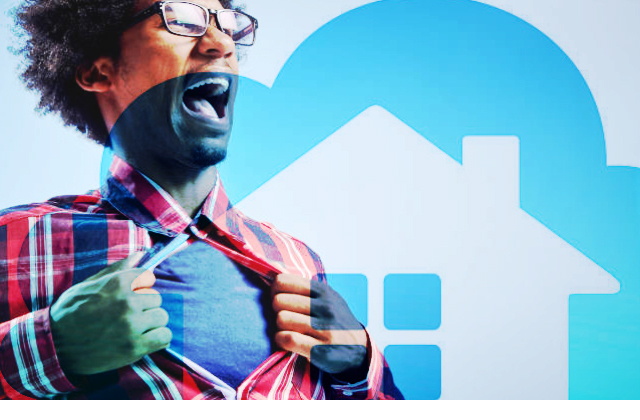 Home security is not an issue anyone should take lightly. Your home is (or should be) your safest haven and as such nothing should be spared to ensure peace and safety within and around your home. But ensuring that safety does not have to cost you an arm and a leg. With Blink’s XT home security camera and its affordable camera quantity kits, you can finally put your home security issue at rest without burning a hole in your pocket. 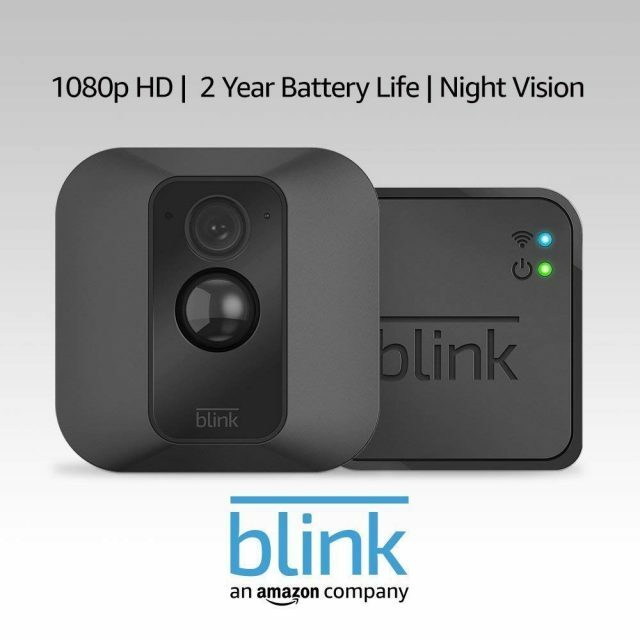 This camera epitomes the popular maxim that “good things come in small packages.” Supplied in black color, the Blink XT Home Security Camera comes in a square shape measuring 71 mm by 34 mm by 71 mm. It is very light weighing just about 0.119 kg. Designed for outside use, the IP65-rated camera is weatherproof and functions well during snow or rain. It can withstand outside temperatures ranging from -4 degrees to 113 degrees Fahrenheit. With its passive infrared motion sensor (PIR) located in the middle of the device, the camera detects movement quickly and records video clips ranging from 5 to 60 seconds depending on your settings. Those video clips are stored on Blink’s cloud servers where you have 7,200 seconds (two-hours) of free storage. Its 1080 full HD resolution camera is located above the motion sensor and has a 110-degree field of view. The camera connects by Wi-Fi on the 2.4 GHz 802.11 g/n band and support private and public Wi-Fi networks. It cannot, however, connect to peer-to-peer (ad-hoc) networks. 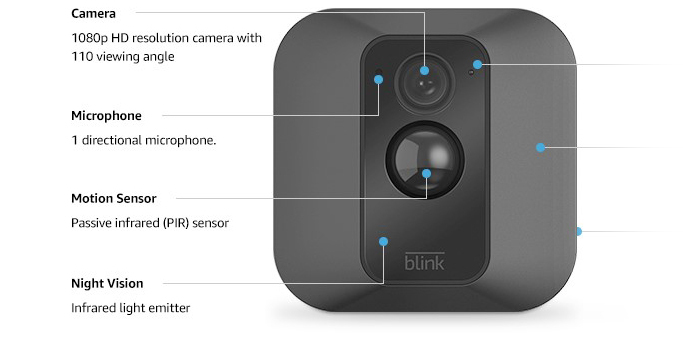 The camera is controlled by Blink app which is available on Android and iOS. The app requires Android 5 Lollipop and iOS 10.3 and above. 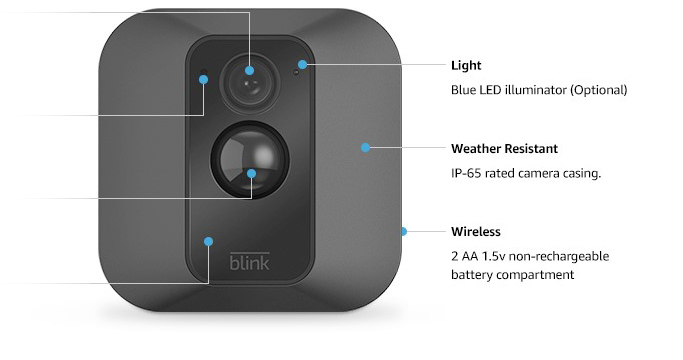 With that brief overview, let’s take a closer look at the features of Blink XT Home Security camera. Free Cloud Storage! 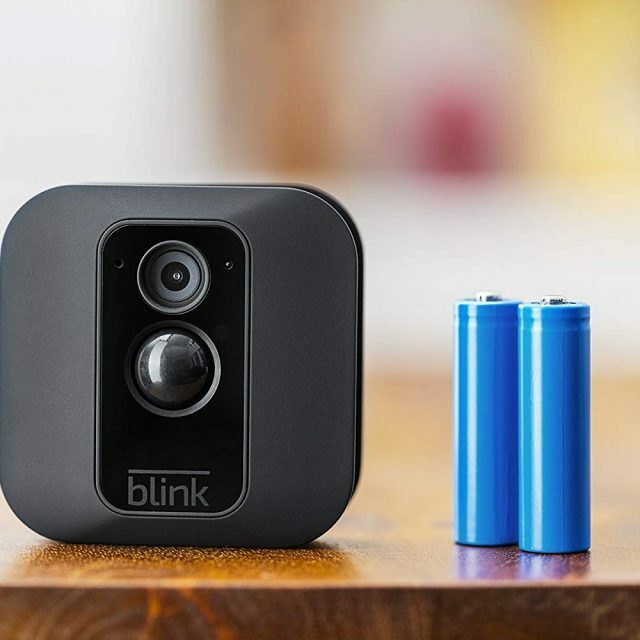 : Unlike most home security cameras where you have to pay a subscription for cloud storage, Blink offers you two hours (i.e. 7,200 seconds) of free cloud storage. When your allotted storage is full, the app will delete recorded video clips in your storage on a first-in-first-deleted basis. Considering that the XT camera only records when motion is triggered and then, by default, it only records 5 seconds of footage, that gives you 1,440 recordings which is very plenty for your needs. Weatherproof: Designed for outdoors, the Blink XT is not damaged by the sun, rain and snow. It operates within an ambient temperature of -4 degrees to 113 degrees Fahrenheit. Even in adverse weather conditions, the camera still works beautifully well. And should the temperature get uncomfortable, the Blink app will give you a warning alert. Integration with Other Devices: The Blink XT camera integrates fully with Amazon’s Echo Dot, Tap, and Echo devices. With these devices, you have total voice control over the Blink system. Also, with its IFTTT integration, you can connect the Blink System with smart bulbs from Philips Hue. Motion-Triggered Sensors/Instant Notifications and Alerts: The Blink XT only works when motion is detected. It can detect movement through its Passive Infrared (PIR) sensors at up to 20 feet away. Once triggered, the camera is activated and the HD video clip and audio ranging from 5 to 60 seconds is sent to your smartphone. Camera/Night Vision: This fanciful gadget comes with a camera gives you up to 1080p full HD resolution and 30 frames per second. It takes clear images although bright light may blur out images. Night vision is also clear and identifiable but can become fuzzy from light bouncing off reflective or shining surfaces. The camera’s line of vision is fixed. You cannot zoom, pan or tilt it even from the Blink app. So you must ensure that you focus its view properly when installing. 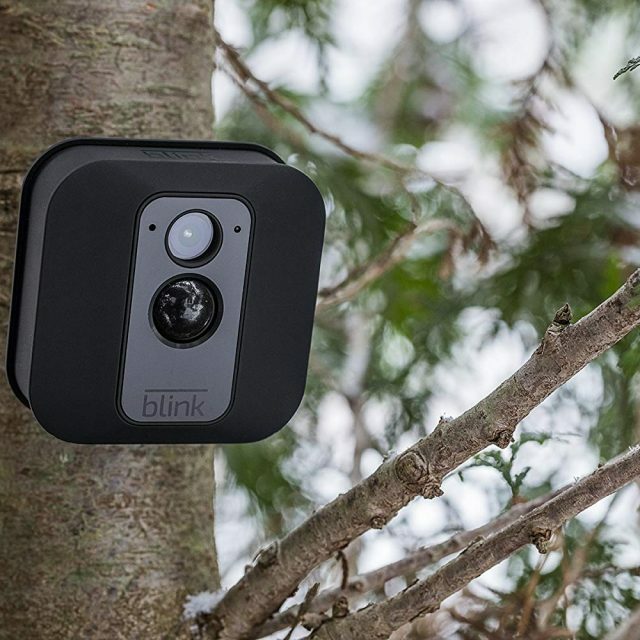 Set Activity Zones: A new and interesting feature of the Blink XT camera is the ability to set activity zones. A snapshot of the camera field of view is taken and then divided into grids. By tapping on some grids, you can activate/deactivate that particular area of view from triggering movement. So, if your camera is facing the front porch and main road, you can deactivate the main road grid areas from triggering from cars and people walking along the street. Lasting Battery Power: This device is powered by two AA 1.5 volt non-rechargeable Lithium batteries that come with each camera. Even under regular use, these batteries are designed to last for TWO years! (No, that was not a typo error). Many users have proven this fact so you do not have to worry about power connection cables around your home. If suited to your needs, you can set or schedule times of the day when the camera would be on or off. This scheduling feature also conserves your battery. Connection: Most camera models require a hub for every camera you connect to your router but not the Blink XT. It comes with a Sync Module that allows you to connect up to 10 cameras saving you space and workload on your router. Pricing: The one camera kit comes with a mounting kit, batteries, user manual, Sync module, USB cable and power adapter sells for just under $130. Amazon’s sells 2, 3 or 5 camera kit versions at discounted prices. Also, any additional camera is sold at a discounted price. 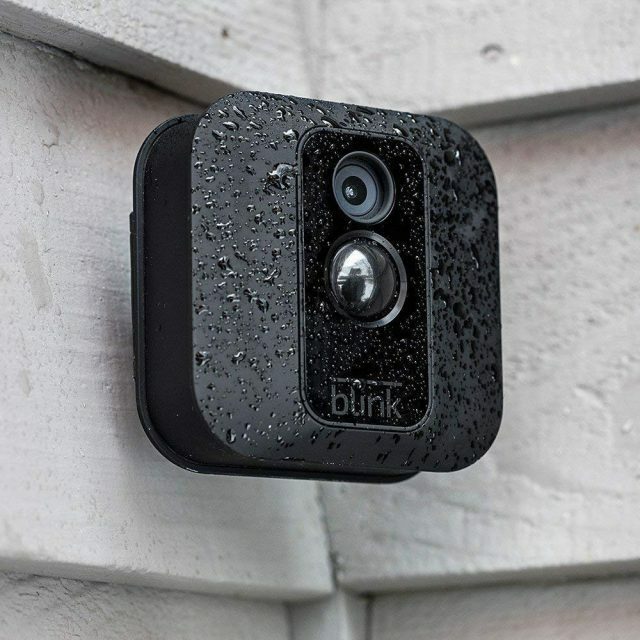 Despite its minor drawbacks, this is the way to go if you are looking for a simple, effective and affordable home security camera that gets the job done without draining out your wallet. For its features and price, the Blink XT Home Security Camera is poised to protect and monitor your home conveniently and effectively. •	Up to 7,200 seconds of FREE cloud data storage. •	Weatherproof against rain and snow and works well in adverse weather conditions. •	Has night vision to up to 20 feet. •	Can set activity zones – areas of motion detection in the camera’s view. •	The camera has a maximum range of 100 feet from the Sync Module. •	10 cameras can conveniently connect to one Sync Module. •	Easy setup and installation. 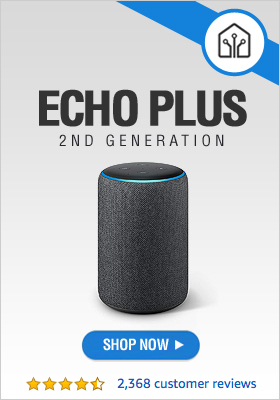 •	Seamless integration with Alex Echo Dot, Tap and Echo Devices and Philips Hue smart bulbs. •	Wireless design connecting to compatible devices. •	No zoom, pan or tilt capabilities. •	Maximum of 60-second video clips. •	No recording in live view mode. 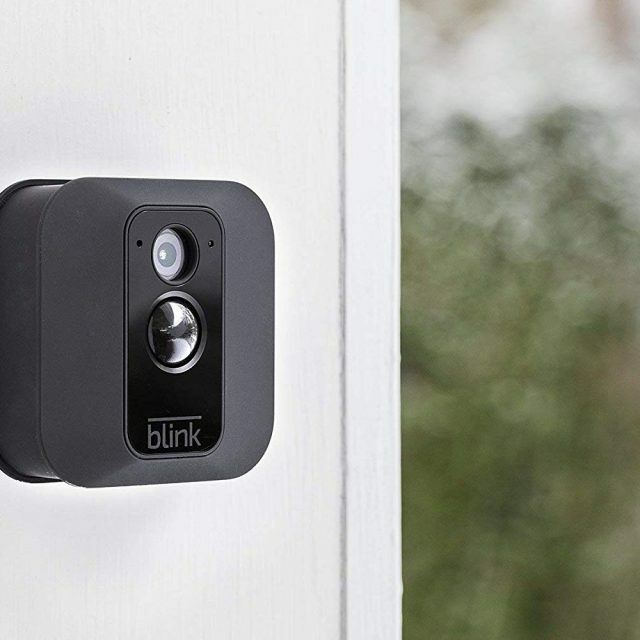 Get Your Blink Home Security System Now! 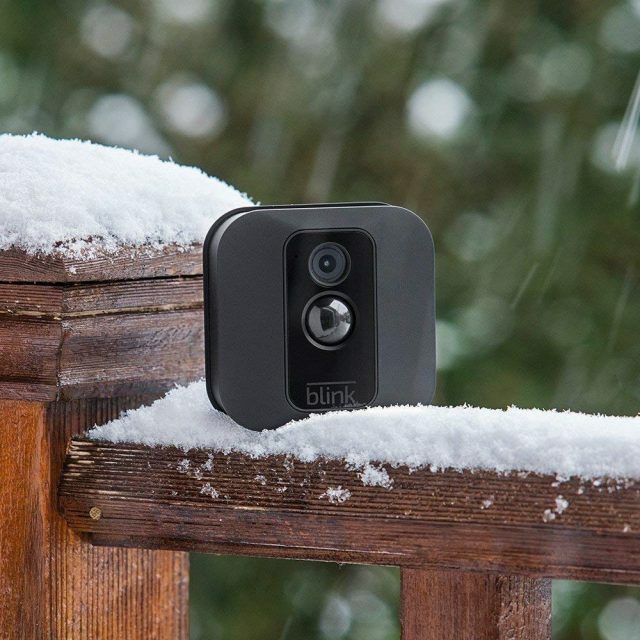 Get Your Blink XT Home Security Camera System Now!